UF CJC Online transforms lives through graduate education founded in theory and influenced by industry. We offer the most comprehensive, digitally focused online graduate programs in the world. Choose from eight master’s specializations and four graduate certificates that offer unparalleled opportunities for professional growth and advancement. UF CJC Online’s flexible programs are demanding by design and competitive by nature. Equipped with the skills needed to move communication forward, UF CJC Online graduates are an unstoppable force for the Gator Good. When you earn a degree from UF, you will become part of a network that spans the globe. The Gator Nation. 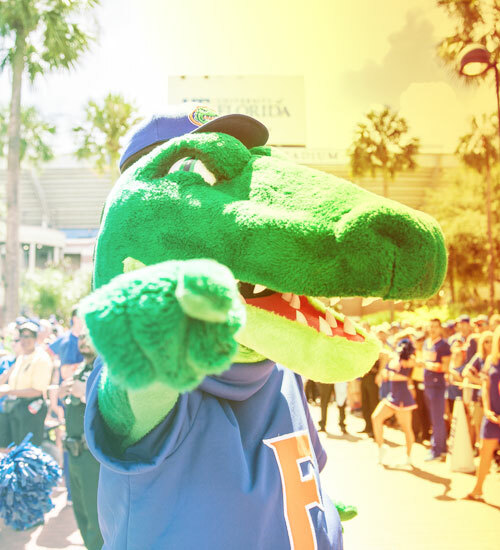 With more than 415,000 living alumni, the Gator Nation is truly everywhere. Our alumni reside in all 50 states and 135 countries and work as leaders at companies ranging from Boeing to Merrill Lynch to the New York Yankees. No matter your vocation or where in the world your path takes you, your degree will be highly-valued. And because an online degree from UF is the same as one earned on campus, you don’t have to go far to get far. The University of Florida’s tuition and fees are the lowest among public universities who are members of the prestigious American Association of Universities (AAU). 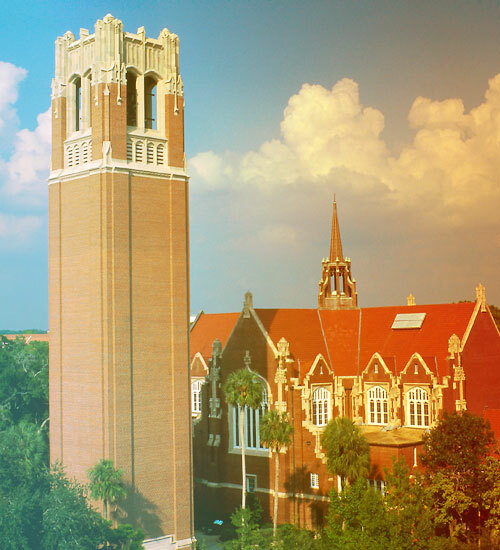 UF is consistently ranked as one of the best value universities in the country: No. 2 in Kiplinger’s “Best College Values” (2016), No. 3 in Forbes’ “Top 50 Best Value Colleges” (2016), No. 15 in MONEY’s “Best Colleges” (2016), No. 6 in Washington Monthly’s “Best Bang for the Buck – Southeast” (2016), No. 3 in the Fiske Guide to Colleges’ Public Best Buys (2015), and on Princeton Review’s list of “Top 50 Colleges that Pay You Back” (2016). Not only is your degree valuable, but UF graduates are also highly valued by employers. Read more reasons why UF might be the best choice for you. Ranked a top online and on-campus Master of Arts in Mass Communication program by Super Scholar and EdSmart. (2016-). UF is recognized nationally and around the world as a leader in academic excellence, both on campus and online. Ranked 8th nationally among all public universities in the country according to U.S. News and World Report. Ranked #4 Best Value College by Forbes (2017-). Ranked #2 Best Online College by TheBestSchools (2016-). Ranked No. 18 among all national universities according to Washington Monthly. UF boasts US News & World Report’s top-ranked online graduate program in Education, as well as its No. 4 Online MBA. Ranked a top online degree program by US News and World Report (2016-). Ranked #2 in Kiplinger’s “Best Values in Public Colleges” (2017). Notable UF alumni include John Atanasoff (inventor of the digital computer), Robert Cade (inventor of Gatorade), Michael Connelly (best-selling mystery novelist), actress Faye Dunaway, actor Buddy Ebsen, comedian Darrell Hammond, Carl Hiaasen (columnist and novelist), Bob Graham (former U.S. senator and Florida governor), Eleanor Smeal (former president of National Organization for Women), Olympic medalists Dara Torres and Ryan Lochte, ecologist Archie Carr, Jonathan Demme (Academy Award-winning director), Joe Scarborough (former congressman and MSNBC morning show host) and Jamie Macintyre, Forrest Sawyer and Sara Sidner (national broadcast journalists). UF alumni include at least nine former Florida governors, two Nobel Prize laureates, eight NASA astronauts, eight former U.S. ambassadors, and dozens of professional and amateur athletes. What Are You Waiting For? It’s Time to Join the Gator Nation! Work full time while earning your master’s degree online and finish your degree in under two years. Our faculty are professionals at the top of industry. Learn analytics from a Google account manager or learn storytelling from a CNN reporter. An exceptional education for the best value. UF ranks #3 Best Value College by Forbes and #8 Best Public School by U.S. News. Join a Gator Nation family of more than 360,000 alumni, residing in every state and more than 135 foreign countries. Our alumni benefit allows you to observe courses in any specialization for years to come, helping you stay on the leading edge of communications.